To speak to someone on the phone (in Bahasa Malaysia or English), please call the Hotline at 03-22671049.
how can i become one of the Muzeum volunteer? i am interested. Hello MV and a very good day. I read with interest of your society and your historical outings of those bygone days. we welcome any information or suggestion on the cycle of early communication and telecommunication in malaysia. Many thanks for your mail. We are very happy to make contact with you. Could you please direct your mail to mvmqueries@yahoo.com, and then you will get the attention of the full MV Committee. I wrote earlier to museum volunteers and am advised to write to this website. I read some of your articles conducting those bygone days in Kuala Lumpur. Recently I was transferred from KL Tower to Muzium Telekom in Jalan Raja Chulan. I am now tasked with Research & Artifacts Management with another colleague of mine. I would certainly appreciate and welcome articles and any information relating to communication during the colonial days and during the Japanese invasion of Malaya. Do visit our Museum Telekom which is open every day from 0900hr – 1700hr except public holidays. I would be happy to show you around our galleries. To become a volunteer, you will need to attend our training program which commences in Sept 2012. Please send an email to mvmqueries @ yahoo.com and they will provide you with more information. how can i become one of the Muzeum volunteer? i am interested.to joint in. Please send an email to mvmqueries @ yahoo.com and they will add you to the list of people who are interested in joining the Sept 2012 training. I am tour guide for russian tourists. how can i become one of the Muzeum volunteer? What kind of training is provided? i am interested. We run a training programme every year and this will start in September. Please send an email to mvmqueries@yahoo.com to register for the training. Once, you are on the list, we will contact to attend our newcomer events. Hope to see you at the 2013 training. hi, I would like to enquire on the volunteer training program. It mentioned will start in Mid September 2013. I am not sure if the program has started. I am interested to join such training program. The training started two weeks ago and I am not sure if you will still be allowed to join. I will put you in touch directly with the organizers. That’s great. Please do drop an email, if you have not already done so, to mvjmmqueries@gmail.com and they will help you with the arrangements from the MV side. Look forward to seeing you and your team at the museum on 6th May. Thanks Pn Nor. Yes, we have received your email and have forwarded it to JMM’s Education Unit. You will be hearing from them, if you have not already done so. I am interested in becoming a museum volunteer, and would like to join the next training session. How do I sign up, and how can I find out more details concerning the training session? In particular, I was wondering how long the whole course will be, and on what days the sessions will be held. hello Adib. Thanks for your interest in the Museum Volunteers. Please send an email to mvjmmqueries@gmail.com. You will be put on the mailing list to receive communications on the next training session. We are planning on running a session in September. Hope to see you there. Thank you very much, I have just sent an email to the address you provided. I am interested in attending the August 21st talk on Peranakan Ceramics. Where exactly will this be held, and is it necessary to book for places in advance? Hello Adib, very sorry but this is going to be a private event for museum volunteers only. I’ll update the calendar to reflect this. 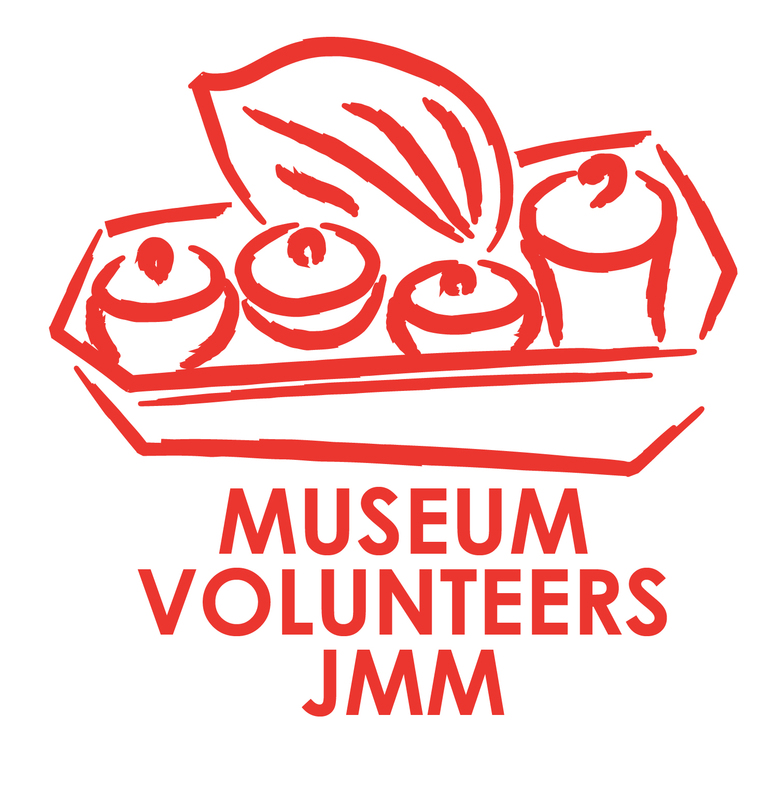 I am interested in the museum volunteer program. Please share with me the details and how to apply for this. Hi Vivian, thanks for your interest in the MV. You need to attend a training programme before becoming a volunteer. Our next training session starts in September and we will be holding an Information Morning on 11 Aug. Please drop an email to mvjmmqueries@gmail.com to register interest in this program.